LOUISVILLE, Ky.--(BUSINESS WIRE)-- Yum! 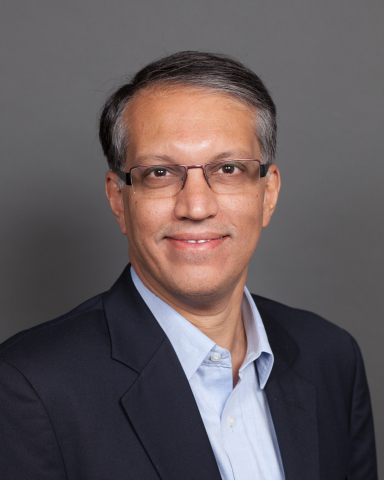 Brands, Inc. (NYSE: YUM) today announced the promotion of Vipul Chawla, 50, to President of Pizza Hut International, reporting to Yum! Brands Chief Executive Officer Greg Creed, effective December 3, 2018. Chawla, who currently serves as Managing Director of Pizza Hut Asia-Pacific, will assume responsibility for driving the brand strategy and performance of Pizza Hut’s international business outside the U.S.
Pizza Hut is the world’s largest pizza restaurant company with more than $12 billion in global system sales and nearly 17,000 restaurants in over 100 countries and territories as of year-end 2017. General managers of Pizza Hut around the world (excluding the U.S.) as well as leaders of Pizza Hut International’s global functions will report to Chawla effective December 3. Pizza Hut U.S. is led by Artie Starrs, President, reporting to Creed. “Vipul Chawla is an extraordinarily talented leader and highly respected global marketer with a proven track record of growing Pizza Hut across the Asia-Pacific region with our franchise partners,” said Creed. “He’s the ideal person to take Pizza Hut International to the next level by ensuring that each market has strong operations and digital execution in place, offers compelling value and consistently communicates the brand positioning. I’m confident Vipul and his team are well positioned for a seamless transition and will continue to build on the strengths of Pizza Hut with our franchisees.” Chawla will succeed Milind Pant, who has served as Pizza Hut International President for the past three years and has made the personal decision to step down from his role at the end of November to pursue other opportunities outside the Company. Chawla is an international restaurant and retail industry veteran who has been with the Company for more than seven years. As Managing Director of Pizza Hut Asia-Pacific, Chawla has led Pizza Hut’s largest business outside the U.S. in terms of units, spanning nearly 5,000 franchise restaurants across 16 markets. He previously served as General Manager of Pizza Hut Asia as well as Chief Marketing Officer of KFC Asia where he elevated KFC’s brand positioning and accelerated its growth across the region. Chawla joined Yum! in 2011 after spending 20 years with Unilever serving in various leadership positions. Pizza Hut, a subsidiary of Yum! Brands, Inc. (NYSE: YUM), has more restaurant locations in the world than any other pizza company. Founded in 1958 in Wichita, Kan., Pizza Hut operates nearly 17,000 restaurants in more than 100 countries. For more information, visit www.pizzahut.com. Yum! Brands, Inc., based in Louisville, Kentucky, has over 45,000 restaurants in more than 140 countries and territories and is one of the Aon Hewitt Top Companies for Leaders in North America. In 2018, Yum! Brands was recognized as part of the inaugural Bloomberg Gender-Equality Index, named to the Dow Jones Sustainability North America Index and ranked among the top 100 Best Corporate Citizens by Corporate Responsibility Magazine. The company’s restaurant brands – KFC, Pizza Hut and Taco Bell – are global leaders of the chicken, pizza and Mexican-style food categories. Worldwide, the Yum! Brands system opens over seven new restaurants per day on average, making it a leader in global retail development.